Lahore: Eid cleanliness arrangements of Albayrak have entered in the final phase. 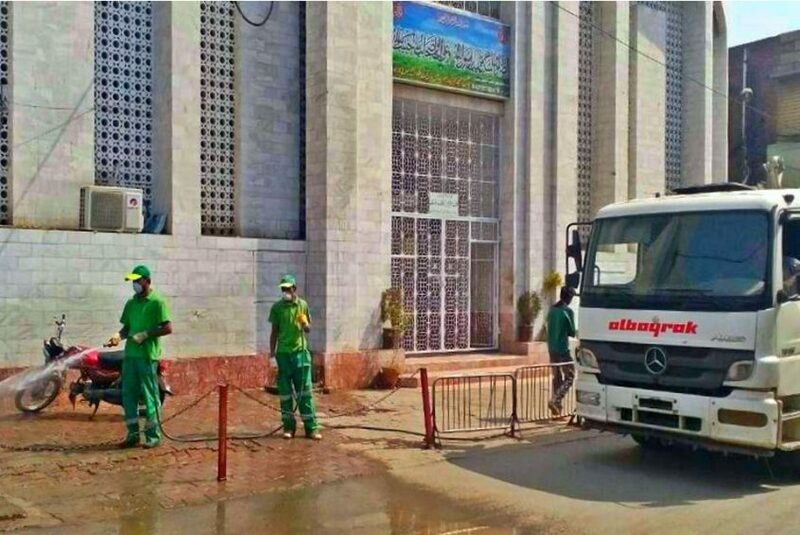 Albayrak has provided additional resources, machinery and vehicles in the field to ensure cleanliness on Eid. Other than 300 regular vehicles of Albayrak, 804 additional vehicles would perform waste lifting and cleanliness operations during Eid days. New uniforms, safety masks and gloves have been distributed among the sanitary staff. 2,36,700 kilogram of lime and 24,000 liters of phenyl have been provided in the union councils. Special washing operations with rose water are regularly being carried out in and around mosques and Eid Gahs. Lime and rose water would be sprinkled in and around Eid gahs, Imam bargahs and mosques before Eid prayer to provide cleaner surroundings to the worshippers. Additional machinery and workforce have also been deputed in the slaughter houses. Keeping in view the expected rainfall on Eid, sanitary staff and machinery have been deputed on the choking points to prevent blockage in the open and roadside drains. The waste related complaints of the citizens would also be addressed in time. Eid camps have been setup in different union councils where the citizens can get waste bags. The citizens would be briefed about helpline 1139 and would be requested to cooperate with the sanitary staff during Eid days. Albayrak Company would arrange lunch for its workers who would be on duty during Eid days.